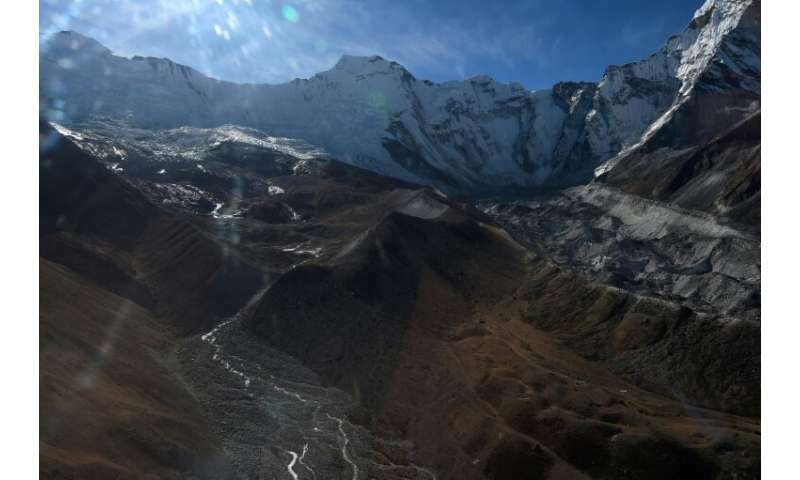 Two-thirds of Himalayan glaciers, the world's "Third Pole", could melt by 2100 if global emissions are not sharply reduced, scientists warned in a major new study issued Monday. "Emerging hazards—in particular glacial lake development and increasingly unstable rock and ice faces—will become a major concern," said Duncan Quincey, an associate professor at the University of Leeds school of geography. Air pollution from the Indo-Gangetic Plains—one of the world's most polluted regions—also deposits black carbon and dust on the glaciers, hastening melting and changing monsoon circulation, the ICIMOD study said. No, Philippus, I have heard of this. Billy and Quetzal discussed it in 1988.